Kethric Wilcox is the author of the Legend of the Silver Hunter series, a M/M paranormal retelling of Beauty and the Beast. Based in Little Rock, Arkansas, Wilcox works as an exhibit designer and graphic artist during the day and writes about hunters, shifters, and humans in the evenings. When he's not writing or designing he can be found running around town with his partner of eight years doing something geeky in nature. Wilcox holds a BA in Graphic Design and one in History. His preferred era of historical research is the crusades and late middle ages. He and his partner can sometimes be found camping in one of Arkansas's beautiful state parks. Wilcox is originally from Boston, MA, and grew up in a fairly typical middle-class family. He wrote his first story in high school English and once submitted a script for a play to a contest around that time as well. He's written several skits for his church over the last couple of years and was planning on working with his church drama partner to write a movie script for independent production, but those plans were put on hold due to illness in his writing partner's family. In 2014, Wilcox challenged himself to undertake a creative writing challenge to replace the script idea and Tracker, book one of the Silver Hunter series was born. Book two, Witch followed in 2015, and Wilcox released Hunter, book three of the series in January of 2016. He is currently working on the first of the vampire trilogy. Future writing plans include a twist on Little Red Riding Hood, a trilogy featuring Professor John Mason and Brom Oisín, Kieran's uncle, and an alternate history set in Venice. This What’s New Wednesday is packing a punch. Just released today and already Number 1 on the LGBT Sci-Fi bestseller list at Amazon. “Impact” is a collection of flash fiction stories all revolving around the theme of Impact. My entry made it into the book, so now you have two good reasons to get your copy today. Impact features 300-word speculative fiction ficlets from across the queer spectrum from the minds of the writers of Queer Sci Fi. It’s hard to tell a story in just 300 words. Each year we ask writers to take the challenge, turning in stories across the queer spectrum. The rules are simple. Write a complete sci-fi, fantasy, paranormal or horror story, include LGBTQIA characters, and do it all with just 300 carefully chosen words. Since this book is composed of stories of no more than 300 words, we can’t really do a standard excerpt, so we’re offering you the teaser first lines from some stories. 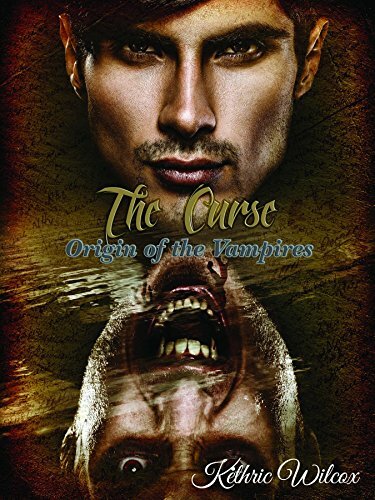 Mark your calendars, The Curse: Origin of the Vampires is going on tour across the blog-o-sphere. From May 19 through June 1, my latest release and I will be visiting a number of different blogs. The tour will present some excerpts from the book, an author interview, and some behind the scenes glimpses of background information used to develop this future version of the World of the Silver Hunter. This is my first book tour and travel arrangements were made through OtherWorldsInk.com part of the Queeromanceink.com family. So come hop on the bus and join the tour. If you haven’t gotten your copy of The Curse yet, it’s available at all major retailers in both ebook and print. Follow this universal book link to get your copy today: http://www.books2read.com/The-Curse. I know I’ve been quiet for a while. It was for a good reason, I was doing the final edits on The Curse, formatting it for both print and e-book, making sure the print cover fit the template, and determining whether to go Amazon only or wide distribution via IngramSpark. Based on printing costs I’ll be going wide when I release The Curse, on April 28. I’ll have more on the release of The Curse soon including a universal buy link so you can find it from your preferred retailer.